RICHMOND forward Jack Riewoldt is disappointed he's being floated by outsiders as a trade option and says he is "yellow and black all the way". Riewoldt re-signed with the Tigers last year until the end of 2019, but the club's failure to make finals and its need to improve its list has meant senior stars are being discussed externally as trade options. The two-time Coleman medallist said he had no intention of leaving the club and dismissed suggestions he would be caught up in the upcoming NAB AFL Trade Period. "As far as I'm concerned, I've got three years left to go on my contract and I'm disappointed that people are making that conversation about me," he told Fox Footy. "I think it's probably after last week's performance, which was probably my worst game for the last three years and I was pretty disappointed with the way I played. "At the moment it's just click bait. Back in the good old days … they (journalists) were actually reporting the story, rather than lighting the fire under it and seeing if there's any smoke there. "You take it with a grain of salt and move on. As far as I'm concerned it's yellow and black all the way." 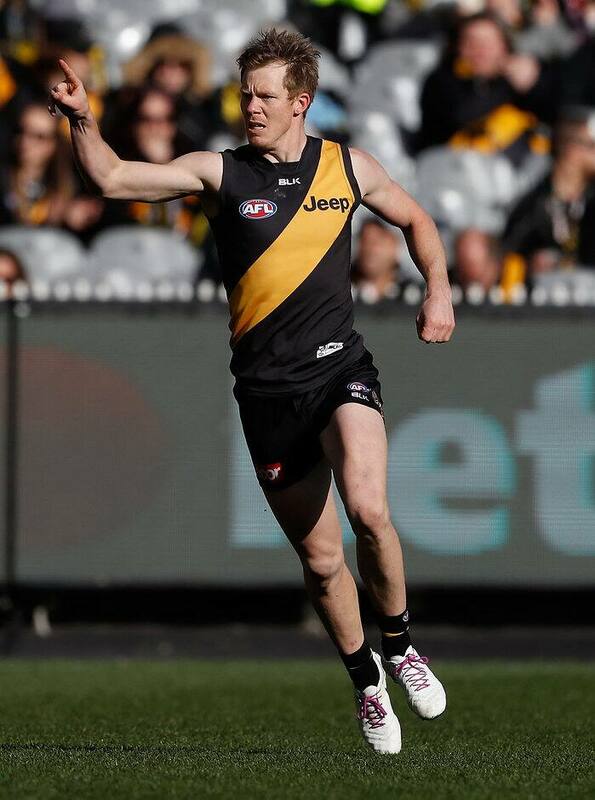 Riewoldt, who had just nine possessions and one goal against St Kilda at the weekend, has been overlooked repeatedly for a position in the Tigers' leadership group in recent seasons. However, the 27-year-old said that had allowed him to work closely with the club's youngsters in a role that had only enhanced his belief in the club's future. "I'm not in the official leadership group, but I have a really important role to play in the direction of the group," he said. "I've changed a lot of things in terms of my leadership qualities over the last three years. "I've been involved with the younger guys and being out of the leadership group has allowed me to have better relationships with the young guys coming through."